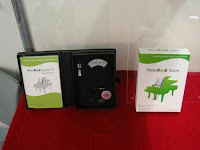 "MuseBook MidiScore" is for all kinds of digital pianos and keyboards which uses MIDI signals. 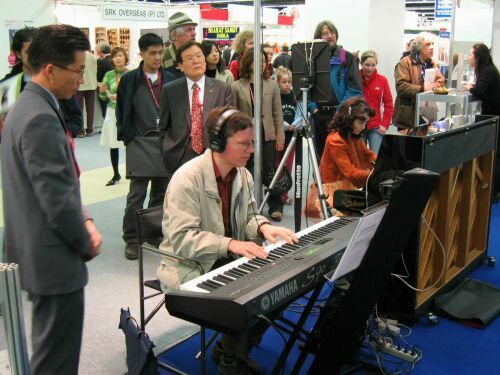 Have you ever disturbed by page turning when you play the piano? 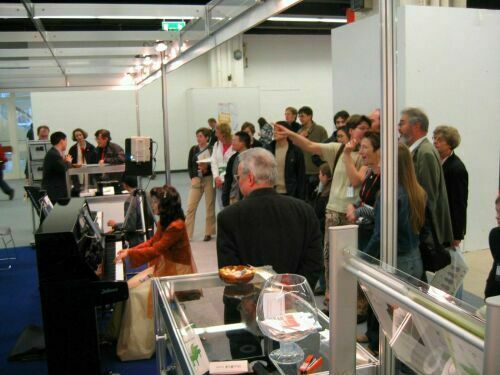 Maybe you have imagined an automatic page turning systems. That is not an imagination any more. 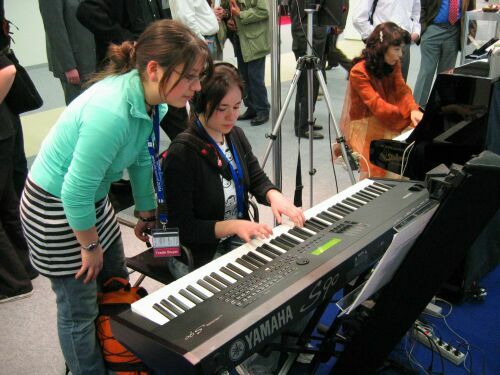 As you play the piano, it indicates the current performing note with a color you defined. Not only it provides easier way of reading scores, but also more fun piano practicing by interactive learning environment. 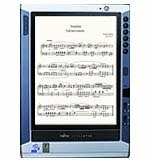 It plays the music exactly according to the expression marks to let you understand and memorize the music better before practice. 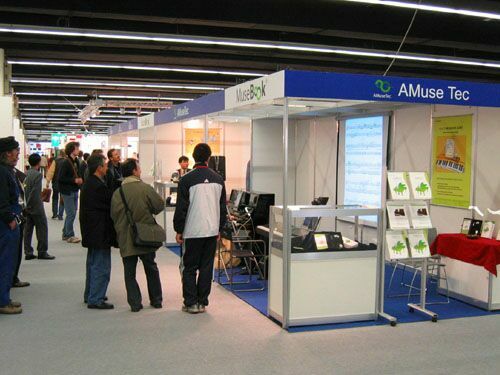 All AMuseTec staff member appreciate your time to visit the company booth at Musikmesse 2004 and continued interests in muebook score. 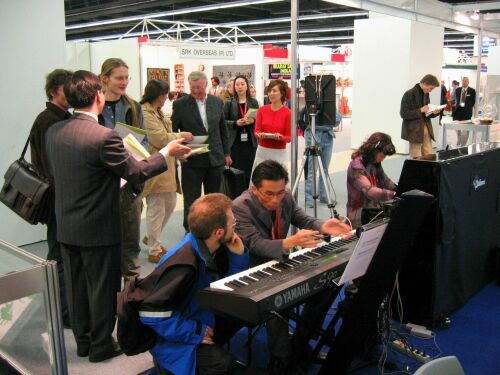 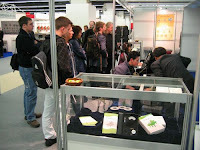 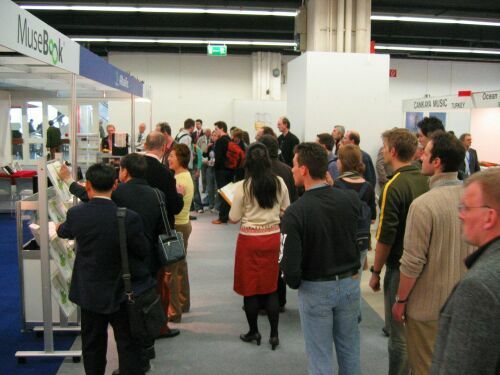 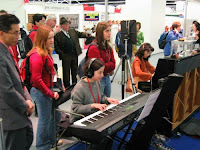 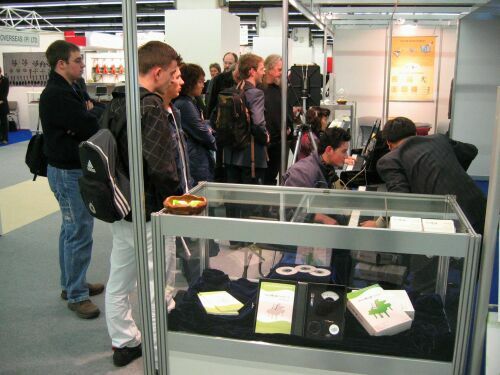 While the international Musikmesse Frankfurt presents the complete spectrum of musical instruments, including computer software & hardware, sheet music and accessories, the real showstopper was muebook score, catching thousands of people's eyes. 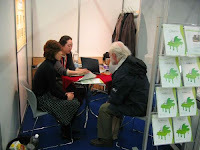 Many attendees at the show had tried musebook score and was amazed by its professional and user friendly approach. 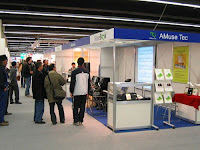 We will work even harder to provide better service in the future. musebook score is available as of Apr 20, 2004, Seoul. 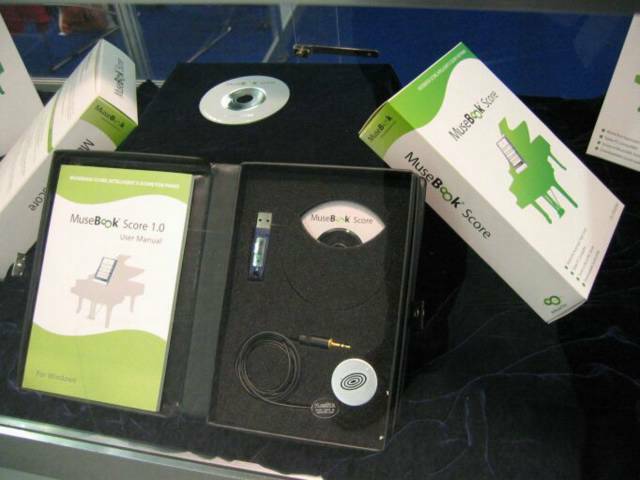 musebook score is an electronic score solution which automatically turns pages and shows current performing notes in real-time. 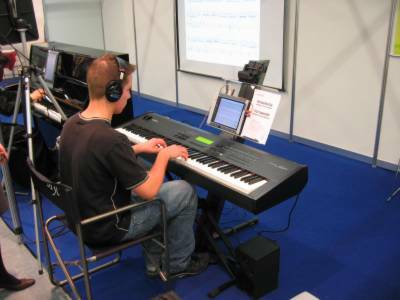 Piano player with musebook score is recommended to use Tablet PC instead of sheet music and open MusicXML score files saved in user's hard disk. As one play the piano, musebook score listens to the piano performance through a microphone, tracks the notes, then turns pages automatically. Therefore the player can concentrate on music without being bothered from page-turning.